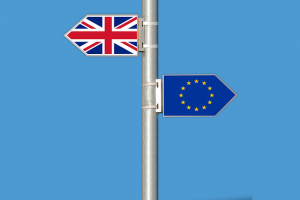 The UK Government has published advice on Public Sector Procurement after Brexit for both ‘deal’ and ‘no-deal’ scenarios, which includes the framework for public procurement. As set out in a technical note issued in September 2018, the Government will ensure that the regulations for public procurement in the UK continue to operate in the event of a no deal. The majority of the procurement regulations will remain exactly the same. In Scotland, this includes the requirement to publish on Public Contracts Scotland (PCS). In a no deal scenario, the key change for contracting authorities would be the need to send notices to a new UK e-notification service instead of the EU Publications Office. The new UK service would be provided by the Cabinet Office. The Scottish Government is working with Cabinet Office to enable a seamless integration between PCS and the new UK service, whereby PCS would automatically send relevant notices to the new UK service instead of the EU Publications Office. If the UK leaves the EU with a deal, the public procurement regulations will remain broadly unchanged during the implementation period (except in circumstances where there are reforms to the EU regime). The implementation period will run from 11pm on 29th March 2019 to 31st December 2020. If the UK leaves the EU without a deal, the public procurement regulations will remain broadly unchanged after EU exit at 11pm on 29 March 2019. On 13 December, the Cabinet Office laid a draft Statutory Instrument before both Houses of Parliament. After the laying date, it may be viewed on the UK Government’s Statutory Instrument pages. The Statutory Instrument is subject to change until it is made. Only once it is made will the contents of the new regulations be settled. You can find specific EU Exit guidance for your business on the Cabinet Office website. SDP Scotland’s training opportunities will keep you up-to-date with the latest developments for public sector procurement on Brexit, and how they may affect SMEs in Scotland. Be sure to follow SDP Scotland on Twitter, Facebook, LinkedIn and YouTube.